Better boards make better nonprofits. And better nonprofits make better communities. 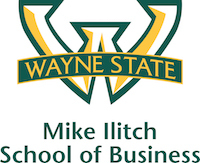 That’s why the Wayne State University Mike Ilitch School of Business and Aly Sterling Philanthropy, a full-service consulting firm based in Toledo, are coming together to offer a proven, one-of-a-kind program for training nonprofit board members. Called the Board Member Accelerator Series (BMA), the program takes a fresh, community-wide approach to board training, by opening the door to board service for people from all industries/sectors and with a range of experience and interests. The goals are twofold: to encourage more people to serve the community and prepare the next generation of leaders. BMA training provides the education and skills people need to find the right board to serve, and serve confidently. While BMA was created to encourage young professionals to step up, it also appeals to long-time volunteers looking to brush up on skills or find the right fit. The program will be hosted Nov. 10-11 at WSU’s Prentis Building. To encourage attendance, registration is priced reasonably at $169 per person. Please visit ilitchbusiness.wayne.edu/bma for more information and to register. Aly Sterling Philanthropy is a full-service consulting firm specializing in building sustainable solutions for nonprofits. We provide fundraising, board governance, strategic planning and executive search services to organizations of all shapes and sizes. Please visit alysterling.com for more information.